I’ve been working in the coal mines of Day Job the past few weeks and have been a mere shell of my normal, vivacious, sarcastic self. Things have calmed down. I’m probably not calm (case in point, last night I dyed my hair purple) but I’m focused enough to sit and stay in place long enough to write. I tell you what, I’m the unhappiest writer right now. This happened after I finished writing Anything You Ask of Me: I hate writing. I’m not creative; I just want to sit and eat ice cream and watch RuPaul’s Drag Race (may the best woman win!). I finished Since April and I basically want nothing to do with creativity. My girl Lindsey (author extraordinaire and writing partner-in-crime) says this is my muse saying: hey. I’m tired. My muse and I apparently have similar personality traits this month because, I too, am tired. Confession: I wrote some fan fiction. And no, I’m not fessing up to what it’s about. Here’s my somewhat official (aka as official as it’s going to get until the spring thaw and I climb down from Mount Doom, heading into the real world) author picture. This is how I would like to think Writer Heather is. Pale, yes. Approachable. Maybe a wee bit of crazy in the eyes. But all around sweet and nice and fun and a really cool gal. I’d like to think this is the look I’ll be pulling off at my book release party (perhaps less pale). This is the confident woman who wrote a book and is preparing to peddle it to the nations (shameless self promotion: you can preorder at Amazon by clicking here)! I’ll autograph your book! I’ll take selfies with you! I’m probably not as cool as I think I am, but I play well with others. Let’s discuss how I actually look when I write. My muse likes to think we write in a huge, write room with a floor length window, overlooking…something…with a warm breeze blowing in and gauzy curtains blowing against a heavy wooden desk. The only thing on the desk is my laptop, a mug of tea, and a lava lamp. For reasons. I’m impeccably dressed. This sounds great, but here’s the reality of it: I sit under a down comforter, with my hair pulled back, and I frown a lot. 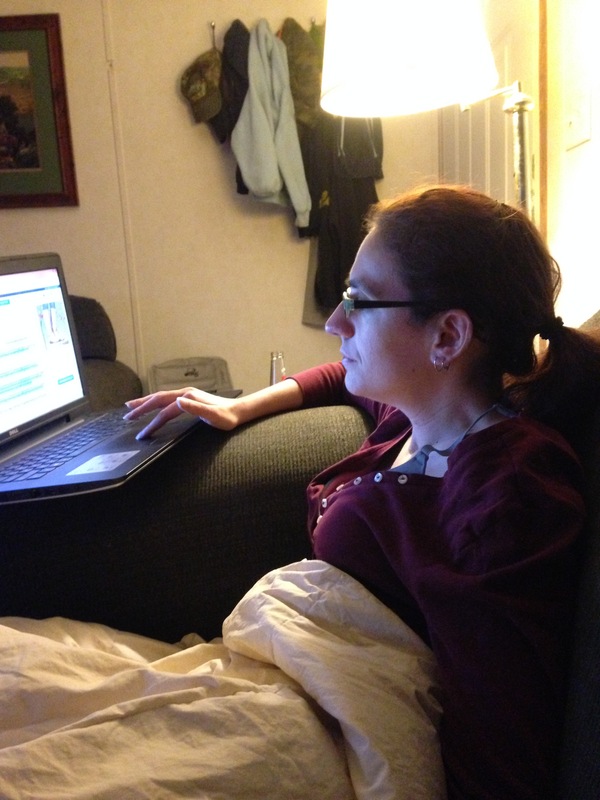 The Hubs took this picture when I wasn’t paying attention and, frankly, I think I look like a chicken hawk. No makeup. Possibly no pants. That is the face of a writer that is not impressed. Not. Impressed. And I’m perpetually cold, which explains the blanket. Look, my book release party is in August and I’m willing to bet I’ll still be sporting a hoodie. That’s how I roll (more on the book release party to come). For the possible writing projects, we have our two favorite contenders: a historical or a contemporary. Two, contemporary projects actually, to choose from: weird or weirder. Meh. For now I’m going to bounce between all three and see what sticks. Like cooking pasta, right? Slap it up against the wall and see if it sticks: if so, it’s done? No, no, I’ve never done it. I once heavily suggested we try it at a charity event, but we ended up eating a bunch instead. Again, this is how I roll. Obviously, like a boss. 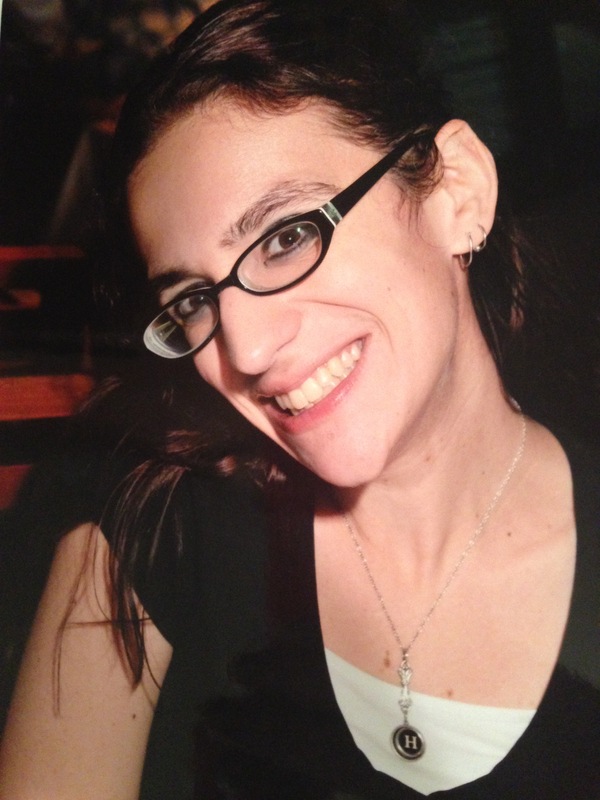 Your author photo is adorable! I, too, am tired of winter, but the first day of spring is this coming Friday! From that day forward, it will be 60+ degrees where you live! See, I have connections. Or I have wine that makes me think I have connections.